This incredible unit is easily located a few steps from the bottom of the Snowflake Chairlift, where guests can access the entire Breckenridge Mountain. Also, walking distance from all of the best dining, shopping and everything that Main Street has to offer. 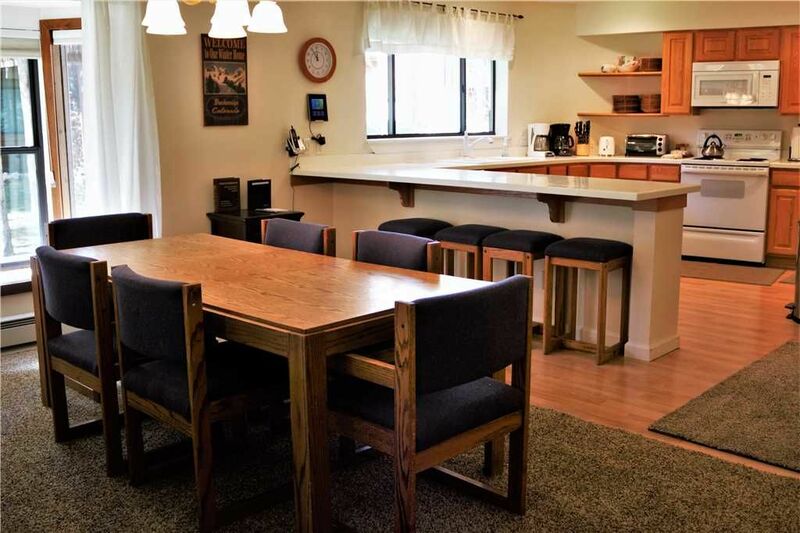 This 2 bedroom, 2 bath condo can sleep a max of six people, making it a great spot for families or groups. The master bedroom has a queen bed, the second bedroom has a double and the living room has a queen sofa sleeper. The bathrooms have all been recently remodeled. the There is a washer and dryer in the unit. The Sundowner hot tub is right outside and you also have access to the Upper Village indoor/outdoor pool and hot tubs. Square Feet 1140. Spacious condo in a perfect location! The home was beautiful, well stocked and perfectly located. The ski lift is a block away. We will return. Great Guest!! Excellent communication and adherence to all policies. Would recommend highly. Close to bus stop to lifts! Convenient to downtown. Have to say I was VERY disappointed with the time we were there! Jacuzzi was filthy and after 3 calls to the management and waiting for someone to clean it, the maintenance person showed up 3 days later and emptied the jacuzzi and left it without water! This was top amenity for our trip and was a huge downer! Couldn't find the "other" location as the map provided was not complete.